November Sunset-2951, originally uploaded by Paradise in Portugal. We’re not called “Paradise in Portugal” for nothing of course, but every now and again something happens to bring it home to us and right now it’s the sunsets we’re lucky enough to be experiencing every evening, and they just seem to get better and better! This one was a few nights ago and I just had to share it. Our Salgados fight goes on and the latest news is on our Birding site, Birding-in-Portugal.com so pop over there to read all about it – and forgive me for not writing it all out again! 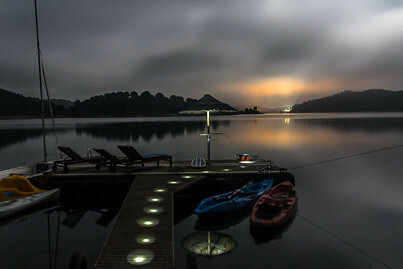 The Pontoon at night, originally uploaded by Paradise in Portugal. This is NOT my photo, but I absolutely love it and can’t wait to try the method out for myself!